Dave, a native of Wauwatosa, graduated from Concordia University with a degree in Occupational Therapy. During his career working for others he began to specialize in outpatient therapy and workman’s compensation injuries with a focus on orthopedic conditions of the shoulder and hand. 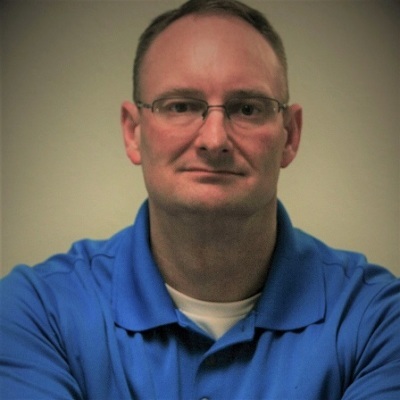 Dave began learning Myofascial Release from John F. Barnes, PT in 2000 and has accumulated over 500 hours of courses as well as working for the Myofascial Release Treatment Centers and Seminars as an assistant instructor to John F. Barnes, PT. Dave has also completed the level of Reiki Master which he utilizes with Myofascial Release. Just before opening Specialized Therapy Services he served as the rehabilitation and fitness director at Delphi Automotive in Oak Creek. When the plant closed he chose to open his clinic. Specialized Therapy Services was the first Myofascial Release clinic in Milwaukee County and still is the only clinic in the city of Milwaukee that focuses on this wonderful technique as well as one of the very few clinics in South East Wisconsin to accept insurance plans. Dave has also been a guest lecturer for McPherson College, Concordia University and Mount Mary College. Recently Dave has been working with High School and College athletes, competative cyclists, tri athletes, ballet dancers and local musicians. When looking for a therapist, take your time and ask plenty of questions. Give Dave a Call! Dave served as an assistant instructor for the Myofascial Release Treatment Centers and Seminars in 2005 & 2006. Currently Dave has taken almost every course that the Myofascial Release Treatment Centers and Seminars offer and continues to retake course to keep his knowledge and skills updated.